This Light Award is sponsored by Above Life's Turmoil and processed through Kiva.org. Cheng is a 35-year-old farmer whose wife is also a farmer. They have three children who are in primary school. Also, he has to support his parents who are over 70 years old and help him to feed sheep. 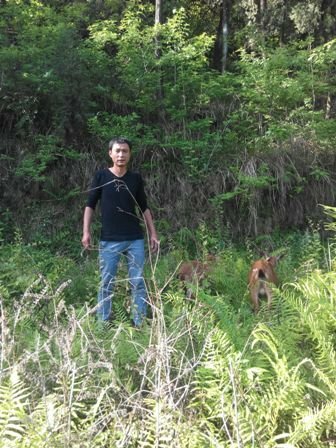 Cheng began to feed and sell sheep two years ago. The income from sheep is used to support the big family in a happy life. As to the bad economic environment, the business has not gone well in this year, and it could not afford them the necessities of life. In order to support the family, Cheng hunted for another job as a construction worker near the city. Cheng requested ￥20,000 from MicroCred to buy sheep to earn enough money. This is the third time he has borrowed money from there. He hopes their lives becomes better and better in the future. Congratulations to Cheng in China..!